I nearly finished knitting this top. I don’t knit regularly, because I usually work on many projects at the same time. Also I did this silk painting piece and I would like to embellish it. Last week I visited the Florence Nightingale Museum, which had a special talk because it was her birthday on 12 May. When I heard about it I remember I read about her life when I was in secondary school. She was born in Florence, Italy in 1820. When she was one year old her family moved to England. They were a rich family and had 15 bedrooms. Her father taught her different subjects but her interest in medicine books increased and she started to read it secretly. In February 1837 she believed that God spoke to her and called her to his service. In 1854 Britain went to fight Russia in the Crimea war. She decided to go to Turkey and took 38 nurses with her. They spend 15 days in the sea until they arrived. She worked very hard day and night until the hospital slowly began to trust her and her team to help the wounded soldiers, and clean the walls and beds. She spent one year and eight months in Turkey. When she went back home she was surprised everyone know about her and they called her “the lady with the lamp”. She started to write many books about the nurses and the standard of medical care. She died in 1910 at the age of 90. This week I made these crochet samples to show to my students. Pictures from a visit to Vestry Museum. 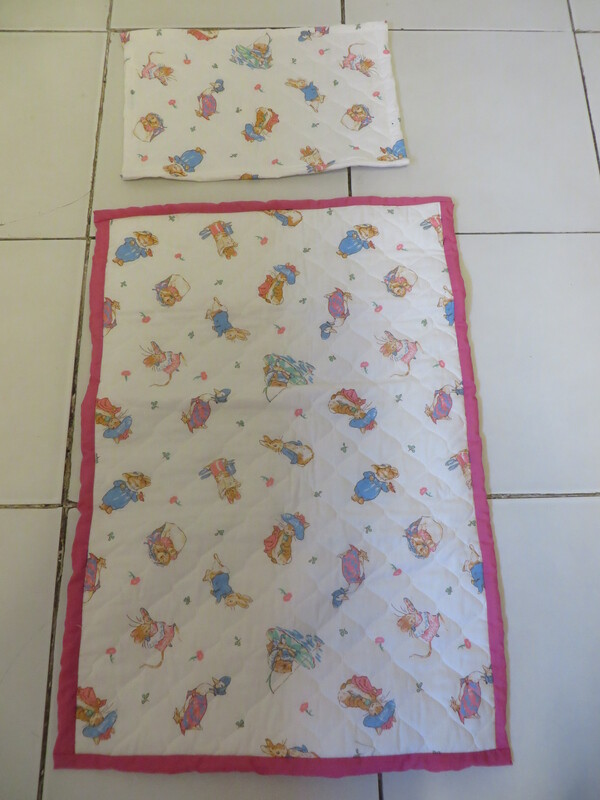 I made this baby quilt from Beatrix Potter printed fabric and it will be donated to Linus charity. The charity will collect several baby quilts and will donate it to Lewisham hospital at Christmas.